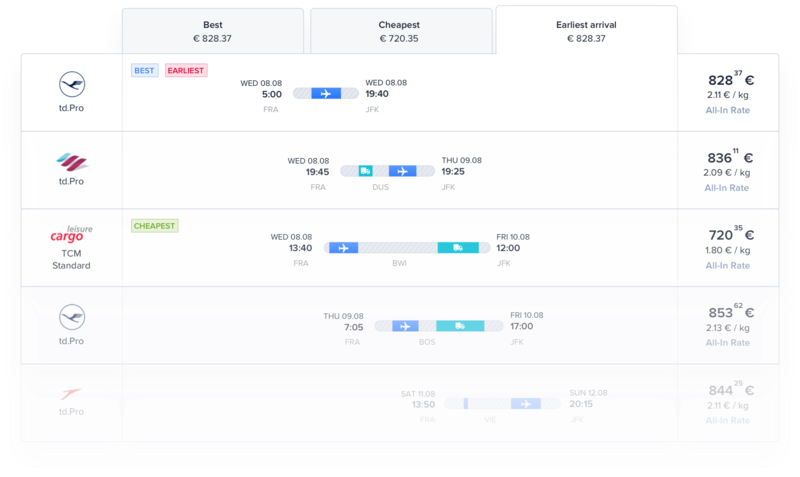 We've built some pretty amazing features that will make your job easier, from start to finish of your air cargo booking process. Check them out below! We’ve realized that it’s been a hassle to retype all of your shipment data when redoing a search. Now you can simply access your recent searches and redo one of them in just two clicks! 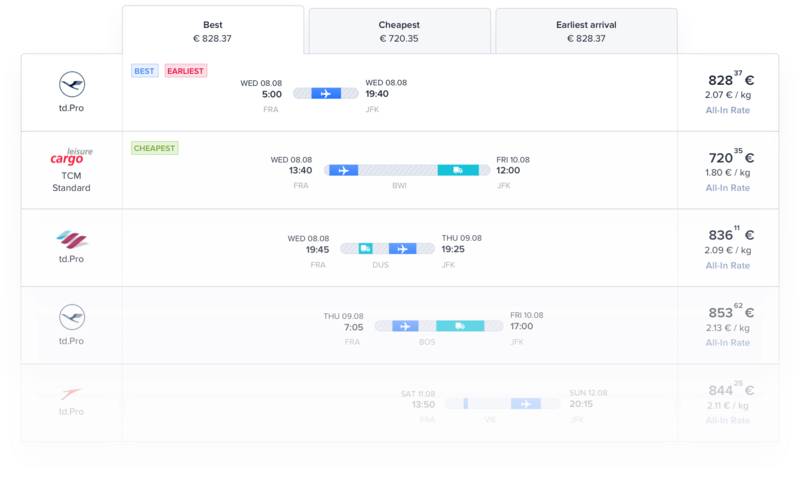 All quotes on cargo.one are now automatically sorted for you, so you can easily find the quote that best fits your needs, whether it be based on time or price. Easily identify the flights that are being offered for each quote by hovering over the specific segment. We’ve added a new item in our navigation, “Saved Quotes”, that will make it a hundred times easier for you to find a quote that you were previously interested in. Click “Save Quote” to bookmark it on the booking page for later. Go to “Saved Quotes” to view all of the quotes you bookmarked. Have many shipments to keep track of? 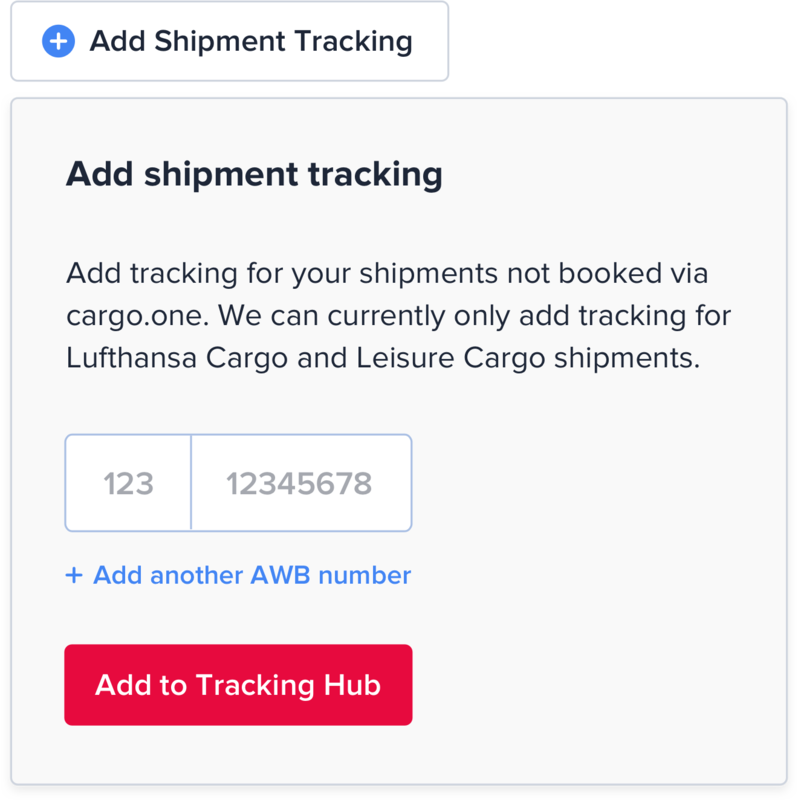 Your Tracking Hub allows you to view all of your shipment statuses in one place. The best part? We automatically update all tracking information for you. 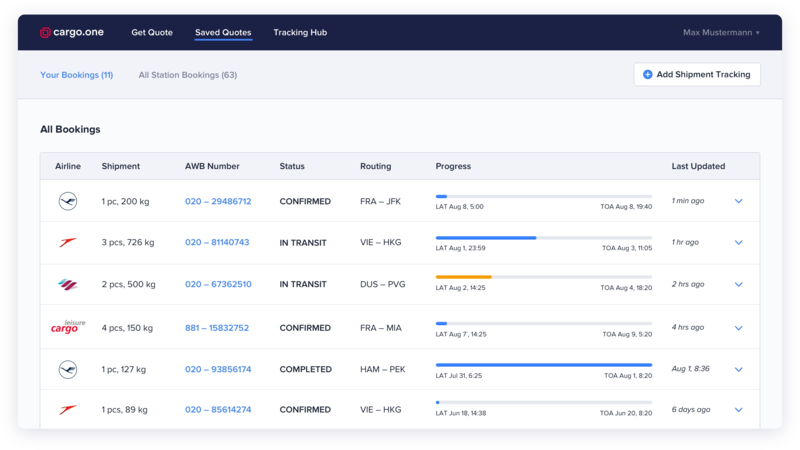 Your Tracking Hub not only tracks bookings made on cargo.one, but it also lets you add trackings for all of your shipments booked externally with our partner airlines. 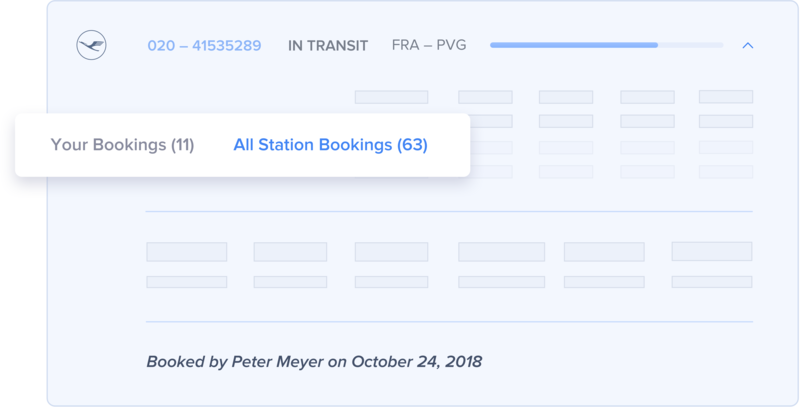 We've extended the Tracking Hub to include all bookings made across your station. 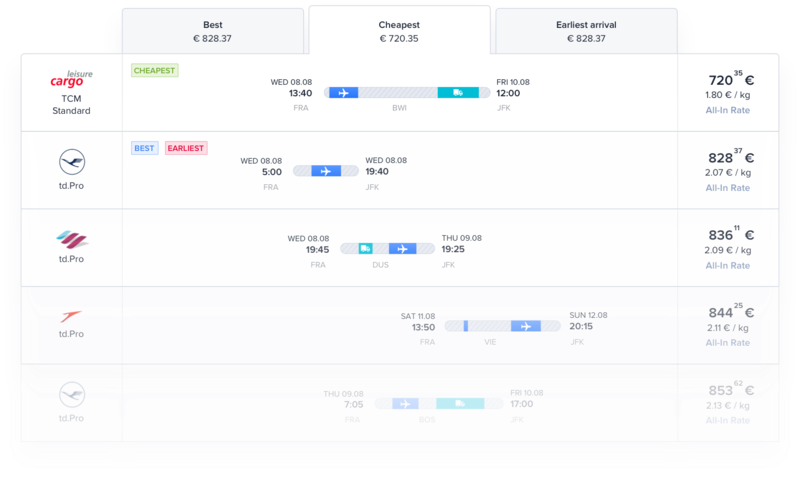 Now, you can simply toggle between your individual view and your station view to keep track of all bookings. Have a feature request or suggestion? We are continually building and adding new tools on our product for you! We would love to hear your thoughts and suggestions.